Published in the New England Journal of Medicine, the new study was led by researchers at the Cincinnati Children’s Hospital Medical Center and the March of Dimes Prematurity Research, along with researchers from Norway, Denmark, Finland, and the National Institute of Child Health and Human Development. Funding was provided by the March of Dimes, the National Institutes of Health, and the Bill and Melinda Gates Foundation. The study relied on data from 23andMe customers who consented to participate in research. “Previous research has suggested that about 30 to 40 percent of the risk for preterm birth is linked to genetic factors. This new study is the first to provide robust information as to what some of those genetic factors actually are,” said Louis Muglia, MD, PhD, who coordinated the study and is the co-director of the Perinatal Institute at Cincinnati Children’s and principal investigator of the March of Dimes Prematurity Research Center. The work suggests that integration of genomic information on women, and likely their offspring, with birth timing, can provide new options for preventative and therapeutic measures, according to the researchers. The scientists of this study found that the genetic variants associated with preterm births are in genes that have a role in uterine development, maternal nutrition, and vascular control. 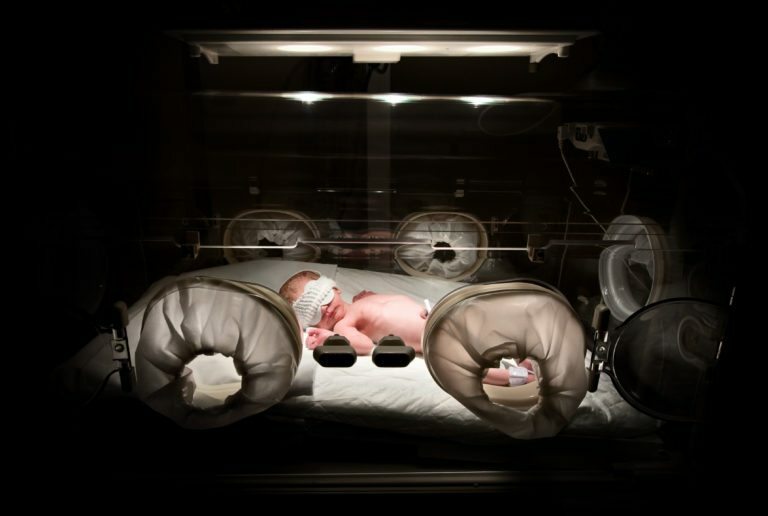 This insight offers important clues into the biology behind what influences premature births and may help in directing research for ways to prevent them. The study is also significant because it is the first time scientists have been able to pinpoint specific genetic variants associated with preterm births. Although researchers have long known that genetics plays a role — twin studies suggest that genetics contributes between 30 to 40 percent of the variation in risk for preterm birth — up until now, studies were too small to detect any genetic variants involved in gestation length. For this study, researchers were able to overcome those limits by working with 23andMe, using aggregated, de-identified data from 45,000 female 23andMe customers who consented to research. The scientists broke their work into two stages — a discovery stage and then a replication stage. All of the data were from women who are of European ancestry. In the first stage, the researchers used the 23andMe data to conduct a genome-wide association study (GWAS) to identify several loci associated with the timing of birth — some of these were associated with a higher risk of premature births, while a few were associated with a lower risk. After that discovery stage, the researchers then attempted to replicate their findings by running another GWAS using three different cohorts from Finland, Norway, and Denmark. Those groups included data from about 8,600 women, and it allowed the researchers to replicate all four of the loci found in the discovery stage in the genes EBF1, EEFSEC, AGTR2, and WNT4. Also, the researchers replicated five other loci that had a more modest association.